Finally! 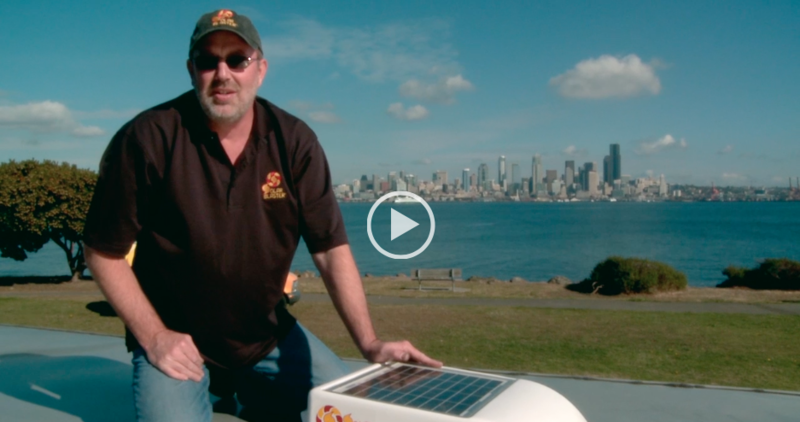 A solar RV vent cover so mildew and heat are a thing of the past! We have unfortunately sold our entire inventory of RV vents. The tooling costs of trying to manufacturer this product here in the States has been a constant challenge for us and for the partnership we most recently had. Unfortunately, it is one we haven't fully been able to successfully replicate to keep our stock coming in. We may be looking into a crowdfunding option in the future, but until then, we thank you for your interest. If you have any tips or advice or expertise in this arena, please get in contact with us. You can also join our newsletter mailing list to be informed of our crowdfunding option in the future. 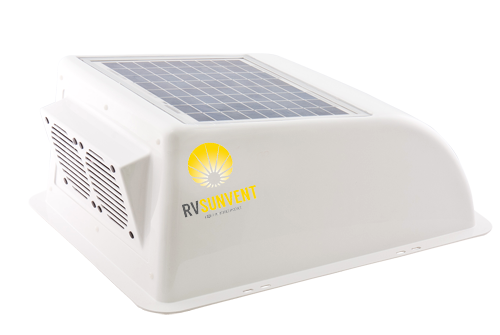 The solar-powered RV fan and vent cover will allow you to keep fresh air in your RV while saving your RV's battery. Just crack a window for inflow air and let the hot, moist air escape through your RV Sunvent cover. 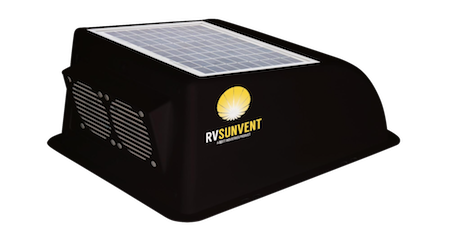 The RV Sunvent even promotes air movement inside your stored RV or trailer to reduce sweating, mildew, stagnant air, fumes, odors and heat buildup. Great for both RVs and recreational trailers. 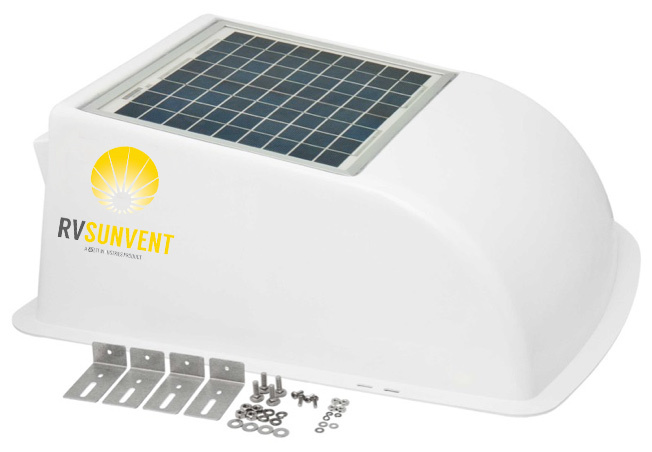 The RV Sunvent was designed to help boost the effectiveness of your RV's exhaust vents. Whenever the sun is shining, the fans will activate and pull the hot air out of your RV. Super simple. Not only will the RV Sunvent get rid of heat, but it will also actively get rid of the odors and dangerous fumes that can gather inside trailers. Why suffer from fumes when you can enjoy fresh air? Installing a RV Sunvent on your RV or trailer is a simple install that requires a power drill, Phillips screwdriver, pencil and an adjustable wrench. Check out the video below. This video shows our original product but it is the same installation for Stoett's new RV Sunvent product.